Download YellWifi and find free Wi-Fi access points to browse with your mobile, saving data consumption on your phone bill and enjoying a greater connection speed. 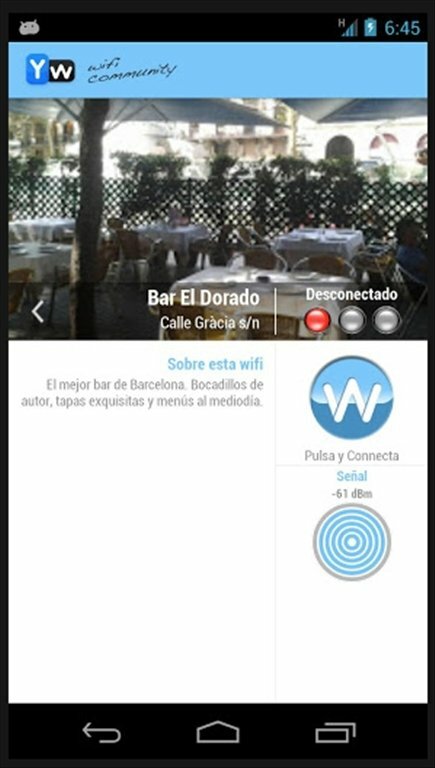 YellWifi shows you the nearby networks appointed to the service so that you can connect easily. Free Wi-Fi on your mobile, wherever you are. You also can put your wireless network at the service of the YellWifi community's users. If you have a business, it may be a great way of advertising yourself for free. 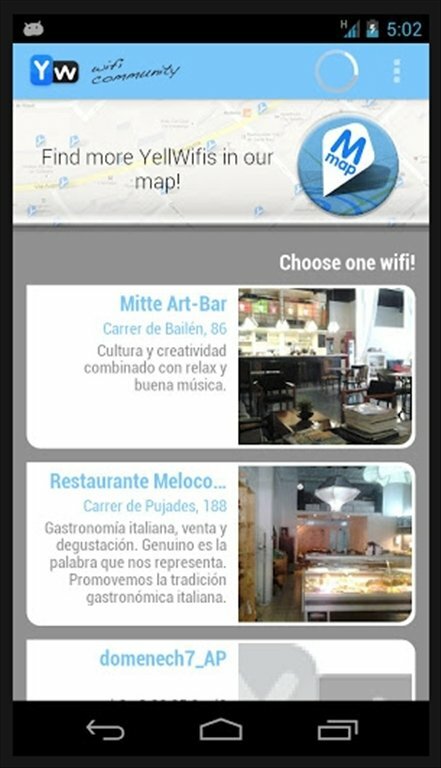 Let the users know your offer by attracting them with a Wi-Fi hotspot from which they can connect to the Internet. 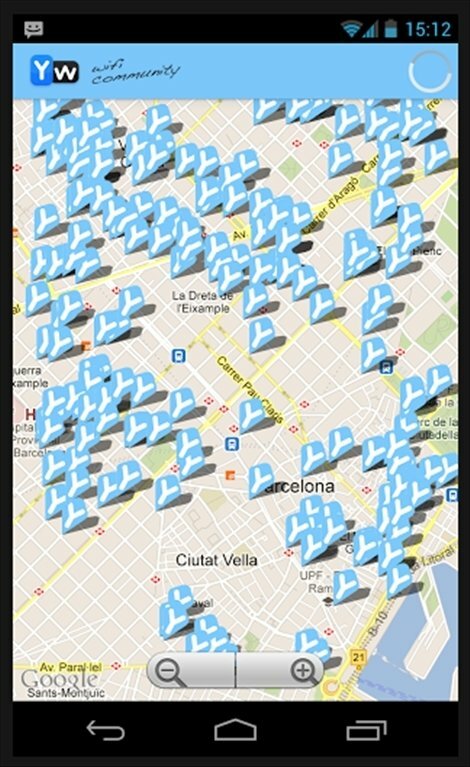 Check a map with all the appointed Wi-Fi networks. Position your business and attract new customers. Make the most of the Internet wherever you are with your Android phone or tablet by downloading YellWifi for free.